Warriors devote themselves to a life of honor, chivalry, mastery of an art, and honor until the end. 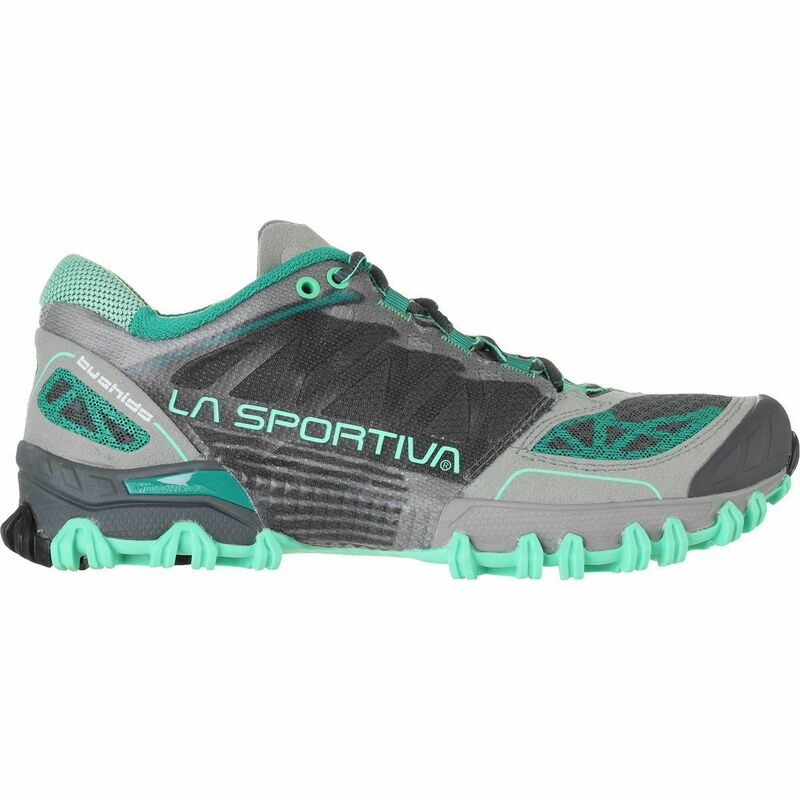 You are a devoted trail warrior, and La Sportiva created the Men's Bushido Running Shoe for your warrior ways. 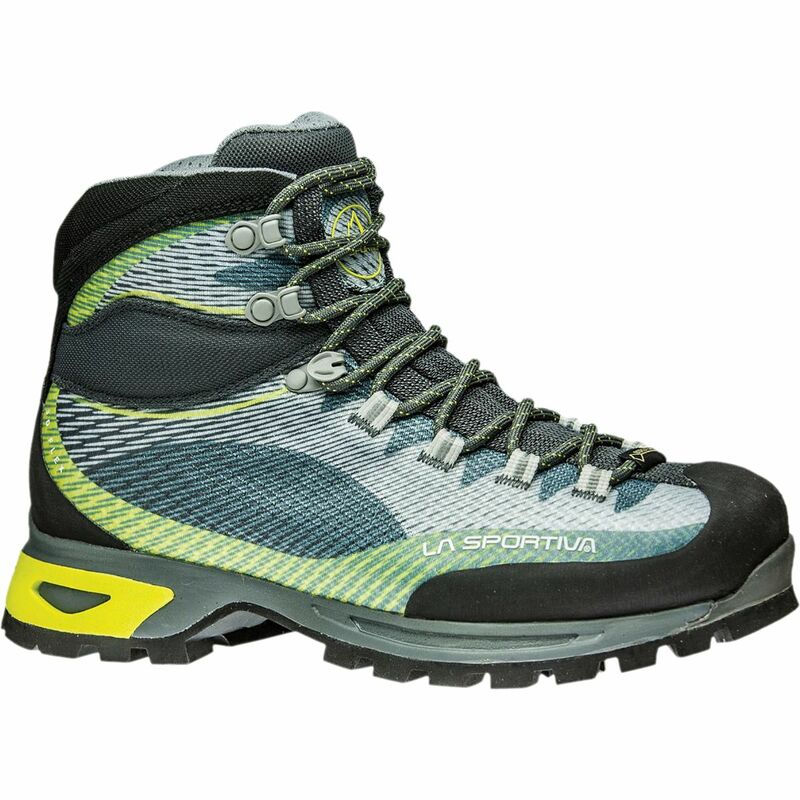 Light on your feet and unbelievably heavy on foot protection, this technical shoe terrorizes the trails you tromp on a daily basis. A unique lug design increases friction as the incline increases--going up doesn't involve one step forward and two steps back, and going down doesn't involve an endless slide on your rear. The upper is a refreshing mix of air mesh, microfiber, and rock-solid ripstop.  A TPU toe cap buffers your toes against downed tree limbs and jagged chunks of boulders. Using STB Control construction, a TPU frame attaches to the upper, extending and wrapping into the midsole. 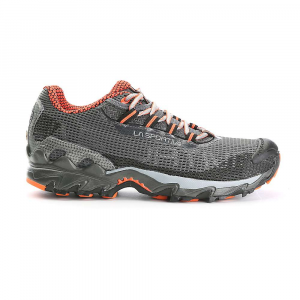 This design provides a precise fit by firmly holding your foot in place and creating a singular unit of running synergy between the upper and the compression-molded EVA midsole. YYour toes don't stray too far with a drop of only 6 mm. A forefoot rock guard reduces the risks of limp-causing bruises from stabby scree. The lugs live everywhere it matters--on the bottom and on the sides of the soles. Instead of leaving the sides of your shoe to fend for themselves, these lugs create continuous contact with the ground, even when you're on edge, for improbable stability. 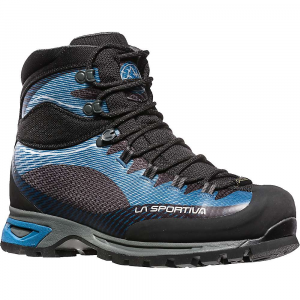 Skinny single-track trails and steep embankments no longer threaten your warrior ways when you're wearing the ultimate trail fighter from La Sportiva. 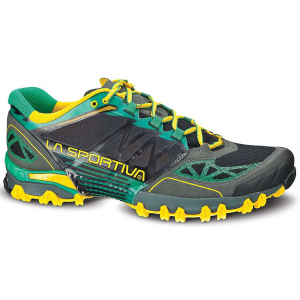 The La Sportiva Bushido makes you feel like a trail ninja. Take on the toughest of outdoor objectives, from light backpacking to technical trail running.